Get Best Price and Total Domain Management under one roof with our user-friendly system! Whois privacy, DNS management, domain and email forwarding, and 3 Page Web Site Builder are all included. Stay Secure with Whois Privacy! It can protect you against identity theft, spammers, hackers and other threats on the web at no extra cost. Your online lifeline. Email is vital to your workflow and staff productivity. Get branded email with our Premium email service starting at $2/month(25GB of space per account)! Free 3 Page Website! Choose from dozens of professional responsive templates that adapt to any devices - desktops, tablets or mobile phones - no coding required! Get hosting that fits! 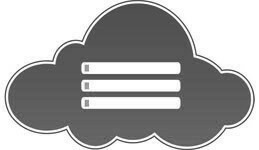 Add a cloud hosting package to your domain and take advantage of this modern platform. We offer free webmaster service to help you get started at no time! New Domains, New Brands. Get an edge on your competition by updating your brand with a new domain extension. 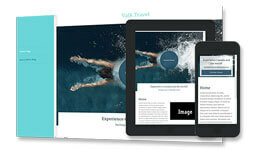 Complement your current portfolio to offer your audience completely new look. Reach a new audience with a 24-hour sales force! For more than a decade, 10Dollar.ca has combined advanced technology with the human touch of expert support. From our Cloud Hosting packages to Premium Email, let us give you the peace of mind you need to focus on growing your business. Take your business online with a domain, website and email hosting from 10Dollar.ca! Got a lot of domains? Take the hassle out of updates with bulk registration, renewal, transfer and management tools, free with all 10Dollar.ca accounts. There's no risk when you sign up with a Hosting or Email account! We provide a 30-day refund guarantee for all of our hosting and email services.